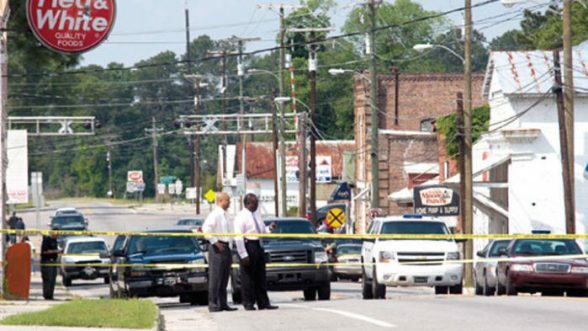 The tiny town of Eutawville was stunned in 2011 when they not only found themselves embroiled in a media attention grabber situation, but also questioning the ethics and trustworthiness of their little police department. The trouble started three years ago when it was discovered that Eutawville police chief, Richard Combs, had not only shot an unarmed man, but that he’d killed him. This was more than a simple mistake. When the dust settled, Combs had been indicted of using unnecessary force. If found guilty, he faces spending the next ten years of his life in prison. The shocking event took places right in from of Eutawville’s Town Hall. According to police reports, Bernard Bailey had gone to the Town Hall in order to fight a traffic ticket his daughter had received. Bailey, a retired corrections officer, was in his truck. According to witnesses, Combs tried serving him with an obstruction of justice warrant at which point Bailey put his vehicle in gear and started to drive. Comb’s stated that he was caught between the truck and another vehicle and feared for his life, which is why he fired his weapon. The lawyer who represented the family during the civil case stated that Combs was saying racial slurs as he fired his weapon. Baily was shot three times. The city wasted no time placing Combs on administrative leave immediately after the accident, and it wasn’t long after that that the decision was made to fire him. Although the federal investigators opted to not file any charges against Combs, the local prosecutor decided to and filed the unnecessary force indictment. 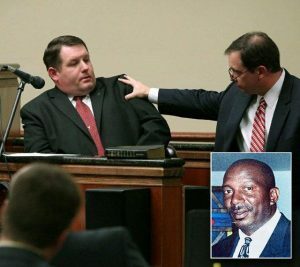 Before he even faces a jury trial, Combs had to deal with a wrongful death civil suit. The wrongful death lawsuit against Eutawville was filed by the family who feel that Combs had no reason to shoot Bailey. The lawsuit was settled during the negotiation phase for the amount of $400,000. A wrongful death lawsuit can be filed whenever it’s believed that a loved one’s death was caused by the actions of another. The death doesn’t have to be intentional. Many medical malpractice lawsuits are also wrongful death cases. It’s important to remember that the laws surrounding personal injuries and wrongful deaths are quite complicated and that even making a simple mistake could cost you a settlement. Rather than taking a chance, you should contact a reputable attorney where you’ll find all the legal advice and assistance you require. Contact us today and set up a consolation appointment. 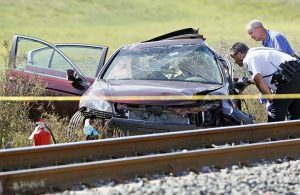 Authorities in Myrtle Beach received a report at approximately 3:30pm on Thursday that stated that a vehicle was struck by a Tri-Rail train around South River Drive and Northwest 36th Street. This was on one of two Tri-Rail accidents that occurred on this day. Sky 10 reports that there was a white vehicle sitting at the side of the train after the crash occurred. One person was taken via Myrtle Beach Fire Rescue to the hospital. This person was treated for minor injuries. The second accident involved a truck and the Tri-Rail train. The front-end of the truck was damaged, but there were no reported injuries with this accident. This occurred Thursday morning just before 9:00am close to the Cypress Creek Station. Oftentimes when you hear about a train accident, the end result is more tragic than most can imagine. 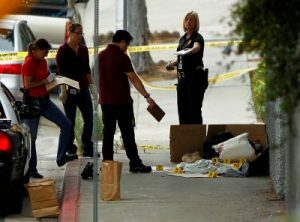 In both of these cases, the victims and other passengers involved remained relatively safe. There are no details on either accident so far as to who is at fault for either accident. 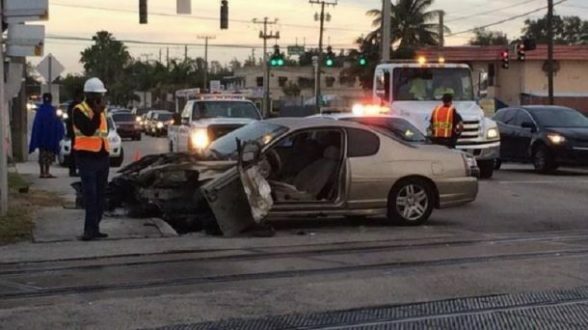 It is unknown whether the Tri-Rail trains caused the accident or the vehicles that were involved. Thankfully, these were single vehicle versus train accidents that did not lead to any pile up of vehicles. The worst part of each accident, outside of the car driver sustaining minor injuries in accident number two, is that traffic was backed up while authorities attended to the victims, got statements and transported the one driver to the hospital to be looked over. It is unclear how long traffic was backed up for with each accident. Since both accident were relatively minor, there was not much clean up after the vehicles were removed from the scene. It is critical that drivers are very careful and alert when crossing train tracks or driving through areas where trains are a common occurrence. The Tri-Rail is on a schedule and comes through multiple times each day in each area. Even if a train is not visible, approach the tracks at the listed speed limit and look both ways before driving over the tracks. If a vehicle is experiencing a mechanical issue, avoid areas with train tracks so that the vehicle does not stall on the tracks. Listen to all warnings that state that a train is approaching and never attempt to “beat the train” to get over the tracks. Stop and wait until the signals show that the area is all clear of an oncoming train. These accidents are avoidable as long as all people involved are aware and following all traffic and safety laws. Thankfully, these two Tri-Rail accidents did not result in any fatalities. Violation of traffic rules and drivers arrogance leads to these and similar accidents. Unfortunately not end all accidents with minor injuries like this. 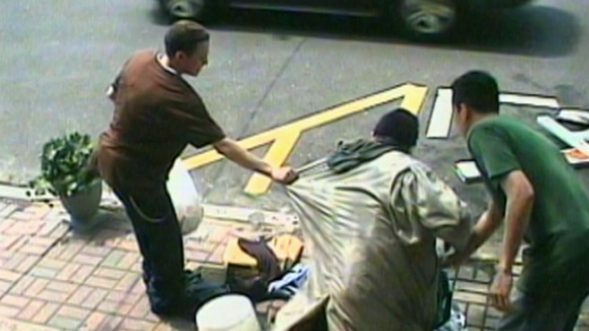 It often happens that innocent people are the victims of arrogant and unscrupulous drivers. If you are victim of car accident you must to call the best auto accident lawyer in Myrtle Beach for help. After an 18 year long battle, with severe pain and financial distress, Chicago man, Kevin Montgomery has finally won restitution from his former workplace. Montgomery worked in the construction field for sub-contractor, Bovis Lend lease Inc. On a wintery day, Montgomery was required to move multiple carts of wood to a subsequent location. After slipping on a patch of unseen ice, his life drastically changed forever. As he hit the ground, his back was twisted, causing life-long severe injuries to his spine. Since the time of his injury, Montgomery had two lumbar fusing procedures. The procedures provided him some short term relief. His condition worsened into the development of arachnoiditis. This painful condition, happens when large amounts of inflammation around the spinal cord send out persistent signals of pain. Over time scar tissue develops, creating a pain so severe that it cannot be treated with any form of physical therapy, surgery, or pain medication. It us the responsibility of every employer to provide a safe and secure working environment for employees and contract workers. Similarly, all private property owners and public property operators are responsible for ensuring that the property is safe. In cases where weather conditions render it unsafe, the place should not be utilized. 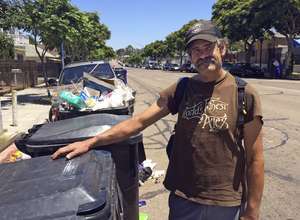 The horrific negligence on behalf of the subcontractor for Bovis Lend Lease Inc. has rendered Mr. Montgomery ineligible to return to his work in the construction industry for the rest of his life, which has caused him great pain and suffering. Additionally, he is unable to make a living in other industries because of the extensiveness of his pain. Thus he is unable to earn an income. Two years following his accident, he filed a lawsuit against the subcontracting company Bovis Lend Lease Inc., citing employer negligence. The defendant originally tried to place the blame on Montgomery, for not using proper caution when completing his duties. However, Bovis Lend Lease Inc. had signed a contract agreeing “to clear snow and ice when needed or requested”. This was a clear case of negligence on the part of Bovis Lend Lease Inc.
After a long court battle the main question came down to, who was responsible for clearing the ice and snow. It became clear by the conclusion of the trial that the liability for the clearing of ice or snow fell under the responsibility of Bovis Len Lease Inc. One day prior to the Cook County judge giving his ruling on the case, Bovis Lend Lease Inc. offered Mr. Montgomery a generous settlement of 3.5 million dollars. Montgomery accepted the settlement and the case was closed. 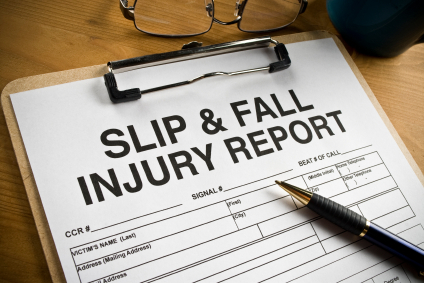 Many individuals are afraid to contact a John Bales slip and fall accident attorney out of embarrassment or because they think it may be their fault. It greatly depends on the situation and the variables involved. In many cases, when you slip and fall on private property due to the negligence of the property owner (or company), you may be entitled to some form of restitution. 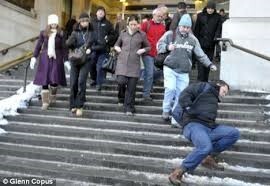 Contact a slip and fall accident attorney today for a consultation or to get started winning your case. John Bales Attorneys are great choice. Everyone can agree that the roads are a dangerous place to be. 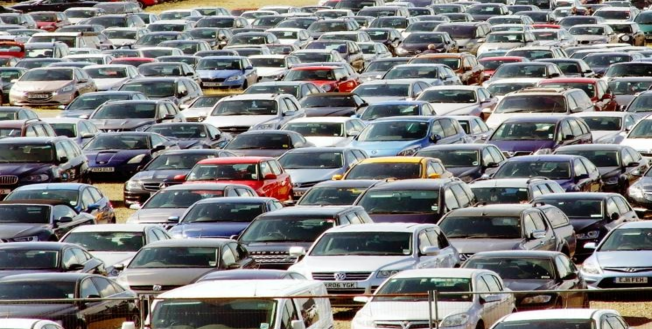 No matter what state you live in, cars are involved in accidents constantly. In the city of New York especially, a personal injury can occur at any time, especially from distracted drivers on the roads. Taking your eyes off the road for more than 5 seconds at a time can have dire consequences for innocent bystanders. Drivers must always be aware of their surroundings and focused on getting to their destination safely. The phone calls and texts can wait until you arrive safely. Four New Yorkers die every single day due to a traffic crash on average. Many of these involve distracted driving, which can be a variety of things, such as talking on the phone or simply being drowsy while driving. These tragedies cost the state big money. The combined hospitalization and emergency department charges combined cost the state of New York an average of $731.3 million annually. That’s money that could be going elsewhere, like to improve schools and roadways. Instead, a tragedy occurred that could have been avoided if the driver had been paying attention and not distracted. In the city of New York, personal injuries occur in many forms. 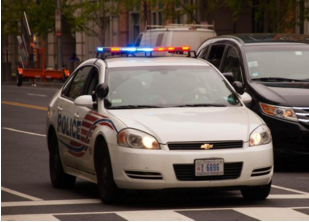 Almost all of them could have been avoided, and many are attributed to distracted driving. In New York, there is a yearly average of 1,464 deaths because of unintentional motor vehicle traffic related injuries. This equates to 7.6 of every 100,000 New York residents on average. That’s a lot of people that could still be here if it weren’t for a tragic event. 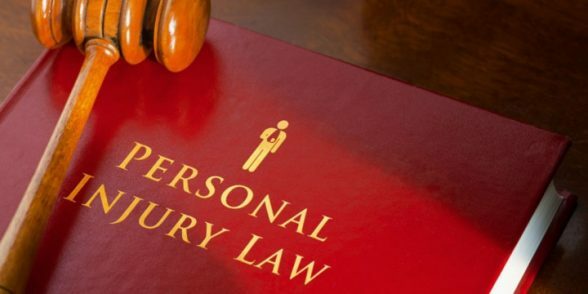 Not all lawyers have experience working with personal injury cases and are ready to get justice for you or a loved one. The statistics show that distracted driving occurs in all the states. According to the CDC, each day in the United States, more than 9 people are killed in crashes involving a distracted driver. 1,153 people are also injured in crashes involving a distracted driver. It almost makes you want to never get in the car again. Everyone knows someone who has been involved in a car accident, and many know those severely injured, or worse, killed in a tragic event that could have been prevented. Distracted driving comes in many forms, and drivers need to be focused on one thing when driving, which is getting to your destination safely and effectively without any distractions. The CDC has conducted numerous studies on motor vehicle crashes and distracted driving. Their 2011 study compared the percentage of distracted driving in the United States and other countries. The results were startling. A much higher percentage of drivers in the United States talked on the phone and read or sent a variety of messages while driving when compared to other European countries. Many people all around the world are connected to their cell phones, and are known to drive and look at them. People in the United States are much more prone to be distracted while driving, as statistics show. In the city of New York, a personal injury can occur without you expecting it. Many lawyers aren’t experienced enough with a proven background showing results. Pulvers, Pulvers, Thompson and Friedman have been serving greater New York for 70 years and are proven personal injury experts. If you want results, contact Pulvers Thompson, or log on at pulversthompson.com. The biggest fear many Americans have is getting audited by the IRS. Even though this fear never seems to go away completely, the odds of you getting audited have started to decrease. The reason for the decrease stems from the fact that the IRS keeps decreasing their number of employees. In 2012, the IRS reported a 0.8 decrease in the number of audits it would be conducting from the previous year. For the 2014 fiscal year, the IRS recently reported that only 1% of taxpayers were audited. Don’t assume that the fact that the number of audits the IRS conducts each year is decreasing means that you don’t have to worry about getting audited. It’s always possible. The best way to avoid the stress and aggravation of an IRS audit is making sure you avoid this IRS tax audit red flags. If you got a new job, received an inheritance, or had some investments that performed well, you should expect to be targeted for an IRS tax audit, and the more your income increased, the greater the odds of the audit become. If you know you’re going to be filing a larger income tax return, it’s in your best interest to meet with a professional tax preparer before the end of the fiscal year to discuss the type of deductions you can and should claim. One of the things that causes a vast majority of business owners to be the target of an IRS tax audit is a high number of questionable deductions. The IRS understands that as a business owner or freelance contractor that you have a certain amount of expenses that can be claimed as tax deductions, however if every meal you eat or each movie/play/sporting event you attend during the course of the fiscal year is claimed as a deduction it’s likely they’ll launch an IRS tax audit. They will also want you to prove that you really do only use your car and computer for business and never for your personal use. Before you withdraw funds from your retirement fund, stop and ask yourself if you really need the money. Making a withdrawal before you’ve turned 59½ serves as a massive red flag to the IRS. Not only will you be required to pay a 10% withdrawal penalty, but the odds of your being the target of an IRS tax audit also increase. It’s not fair, but if the IRS has previously audited you, the odds of you getting audited a second time increase, though it’s difficult to determine when the second audit will take place, so you need to be extra diligent about making sure you’re upfront and honest on each and every tax return you file for the rest of your life. If you’ve been audited and the IRS determines you made an error on your returns and is now coming after you for back taxes, seek the assistance of an experienced tax attorney who will do everything in their power to get you a manageable settlement. No Comments on What Exactly Does a Real Estate Attorney Do?